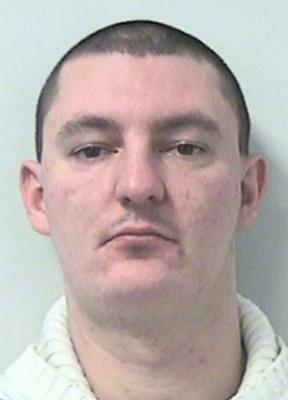 A THUG who smashed a man in the face with a ceramic mug has been jailed. Joseph Guite caused a 5cm “deep laceration” to victim Gary Costello’s face on December 7 last year. George Matthews, prosecuting, said the attack happened in the street in Breightmet. Guite then fled towards Bury Road. Mr Costello had to have 10 stitches following the attack. Guite was later identified through a Facebook photograph and was arrested by police, Bolton Crown Court heard. When Guite, aged 24, of Bridgeman Place, Bolton, was arrested he claimed he was acting in self defence. The court heard Guite had been running after a man named Parker. Mr Costello became involved when Parker asked him to help. Mr Costello, aged 23, in a victim impact statement, said he is paranoid about the scar he now has on his forehead and has grown his hair to try to hide it. He believes his scar will hinder him in future job interviews and said he does not go out much now, Bolton Crown Court heard yesterday. Guite has several previous convictions, including a public order offence for his involvement in an English Defence League Protest. He committed the crime while he was subjected to a four-month jail term suspended for 12 months. Carl Hargan, defending, said Guite had difficulty looking at photographs of Mr Costello’s injury and was ashamed as his mother had seen the injury pictures. He said Guite has cut down “dramatically” on his alcohol intake. Judge Timothy Stead, sentencing, said: “You struck him a blow to the forehead. You had in your hand, as a weapon, a mug. It doesn’t matter to me whether you had a ceramic mug or a glass or whether the mug was broken when you fell. Guite admitted wounding and was jailed for 30 months. His four-month suspended jail term was also activated but will run concurrently to the wounding sentence.